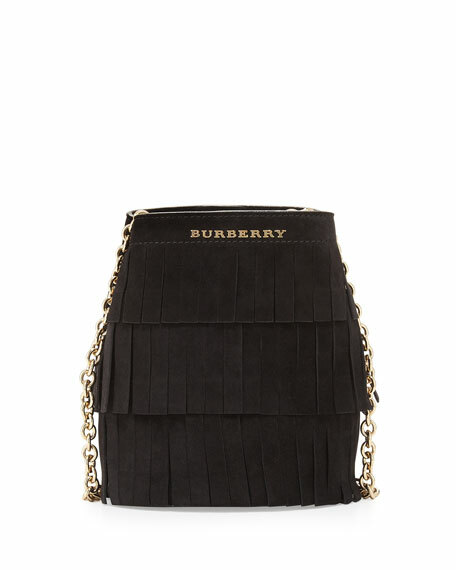 Burberry suede baby bucket bag with tiered fringe. 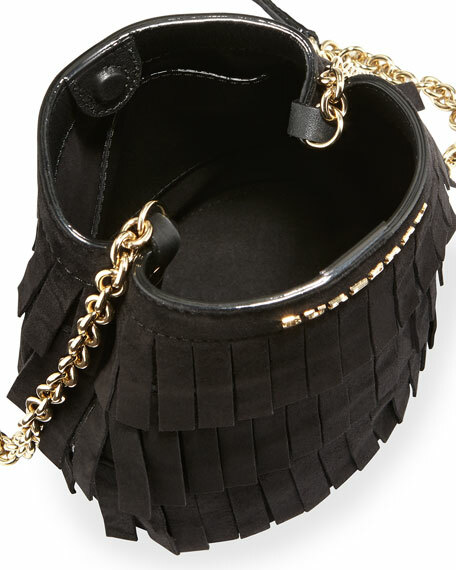 Golden chain crossbody strap; 21" drop. Inside, suede lining; one pocket. 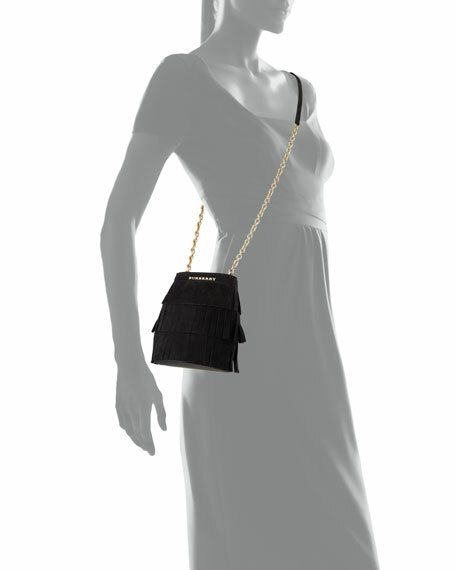 For in-store inquiries, use sku #1631590.